After you’ve completed your ADAS Part 1 commercial dive certificate, this 4-week module allows you to go to 30 metres on surface supply breathing apparatus (SSBA) or air sent down from the surface via an umbilical line. 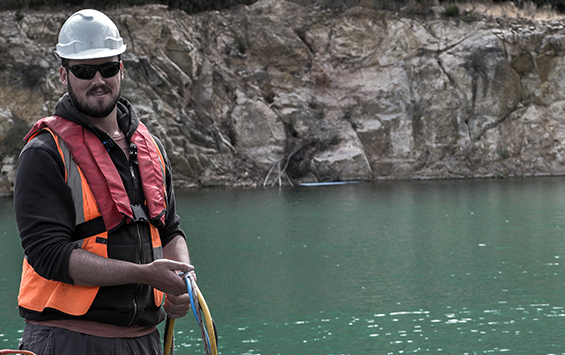 This is the basic working commercial divers qualification. 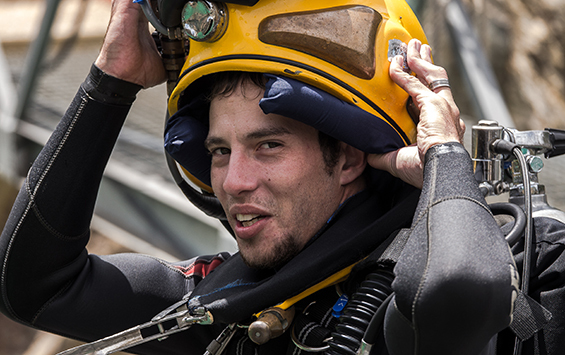 You will wear a rigid helmet or a semi rigid bandmask, learn construction techniques such as rigging and moving heavy items underwater, underwater cutting and welding and how to safely use hydraulic and pneumatic tools. (Please note: You cannot complete this qualification unless you already have an ADAS Part 1 or are completing it with a Part 2 Qualification). Turn your passion into a career. Learn to dive for a living with us. Getting started on your dream career! $7,000 (Combine with a concurrent Part 2 for a total of $12,000 and save $2,000). What you’ll need to enrol? Already hold a Part 1 or be pursuing it as part of a combined course. All entry requirements for Part 1 must still be current. Email info@utcsa.com.au or phone us for further information and enrolment details. You have secured your place on your selected course once we’ve received your enrolment form and deposit. We’ll send you a confirmation of receipt and an electronic copy of our handbook. This gives you all the information about the course, accommodation, what is expected of you and what you need to bring. We recommend you print it off and bring it with you to your first class. You don’t need to have all your entry requirements upon enrolment. However, it’s up to you to make sure you’ve met all these requirements before starting your course. If you already hold a Part 1 certification, please contact us for the commencement date of Part 2 training. Discover more about our ADAS accredited courses Part 1 and Part 2 , Diver Medical Technician (DMT) and Onshore Supervisor courses or call us now on 08 7111 0291.